Organized By SAMAPATHIK TRUST, Pune. 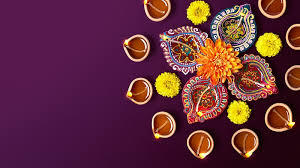 For those lonely LGBTI community members (and non-community members too) who are not going to their homes (for whatever reason) to celebrate Diwali- Samapathik Trust invites you for a get-together Diwali Dinner on 'Dipavali Padva' - 20th October 2017 (Friday) at 7.30 pm. Those wanting to attend, kindly send SMS to brother Bindumadhav Khire at his mobile number 9763640480 and confirm your presence latest by 17th October 2017 evening. Those who RSVP will be notified of the venue by SMS on 19th October 2017. Notes: Due to shortage of funds, each one will have to pay for his/her own dinner and drinks expense. Stolen from open facebook post of Bindumadhav Khire.